Using interviews, surveys and research, our process captures what is unique about an organization and distills it into a compelling Brand Idea that will drive momentum and build internal alignment and external awareness. We provide the strategy to uncover and articulate the Brand Idea and the creativity to express it visually and verbally. Together with our clients, we begin every project by creating a customized process based on the four steps outlined here. listen carefully. learn all we can. We immerse ourselves in the organization, carefully assessing attitudes and perceptions among internal and external audiences. In an effort to fully understand the client’s culture and vision, the motivation of relevant audiences and the changing industry climate, we conduct interviews and surveys, review existing documents and materials, and gather new qualitative research as needed. identify what is unique. establish voice and tone. We apply the research findings from the Capture phase to create a comprehensive presentation that outlines what differentiates the organization in the marketplace, establishes an appropriate voice and tone and develops the overarching themes that are used to guide visual and verbal communications. 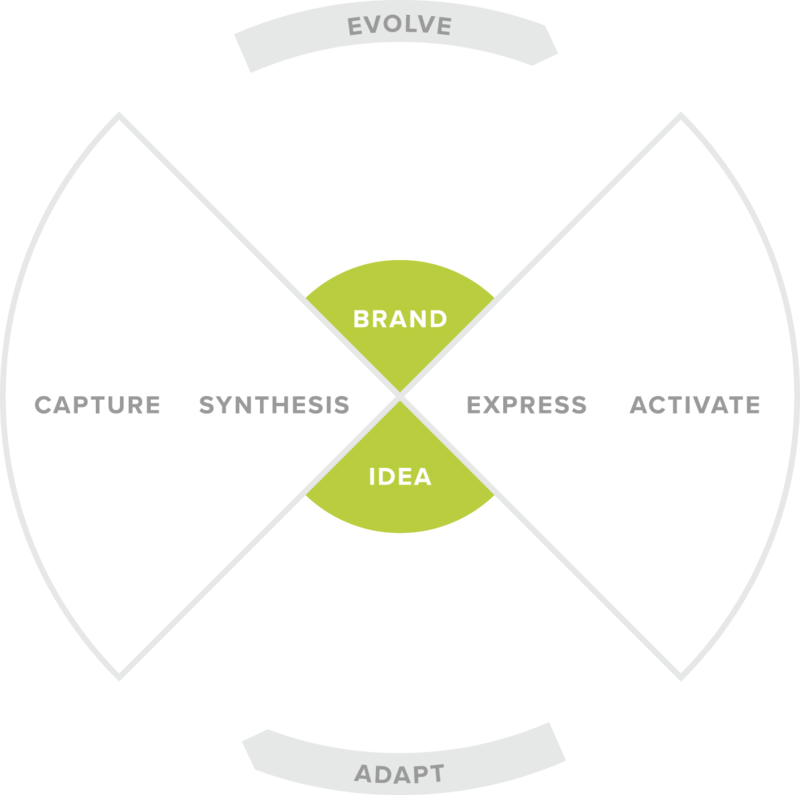 The Brand Idea is a singular, emotionally resonant idea that the organization can own. It reflects the core attributes and personality and connects what is true and different about the organization to external perceptions and the needs and desires of target audiences. bring the visual identity and messaging to life. We design and develop the visual and verbal elements that define the organization’s public expression. The design phase builds the creative platform to extend the personality and become distinctive and memorable in the hearts and minds of stakeholders, employees and customers. We codify the spirit and the rules of the brand in clear guidelines and determine critical pieces for brand deployment and success. Working closely with the client communication team, we create appropriate tools to help leaders and staff incorporate the brand strategy into daily decision-making and guide internal change. Often, we design the key communications and marketing elements used to launch the brand. Once the new brand is launched and active in the marketplace, it is critical to measure success and continue to think strategically as markets evolve. Our brand strategy process encourages listening to the marketplace, synthesizing what you hear and adapting with refreshed messaging and collateral. Using the four steps, a streamlined process can be designed to capture relevant information and efficiently synthesize, express and activate new ideas. To every project, we bring our commitment to helping organizations understand how they fit into people’s lives. Planning and strategic insight to crystallize organizational vision and market position and become tangible and relevant to internal and external audiences. Full spectrum creative services developed to bridge all channels of communication including print, environmental, digital and social. Ongoing oversight and support to help evaluate and measure brand effectiveness. Planning, strategy and experience design to build awareness and engagement with customers and stakeholders.